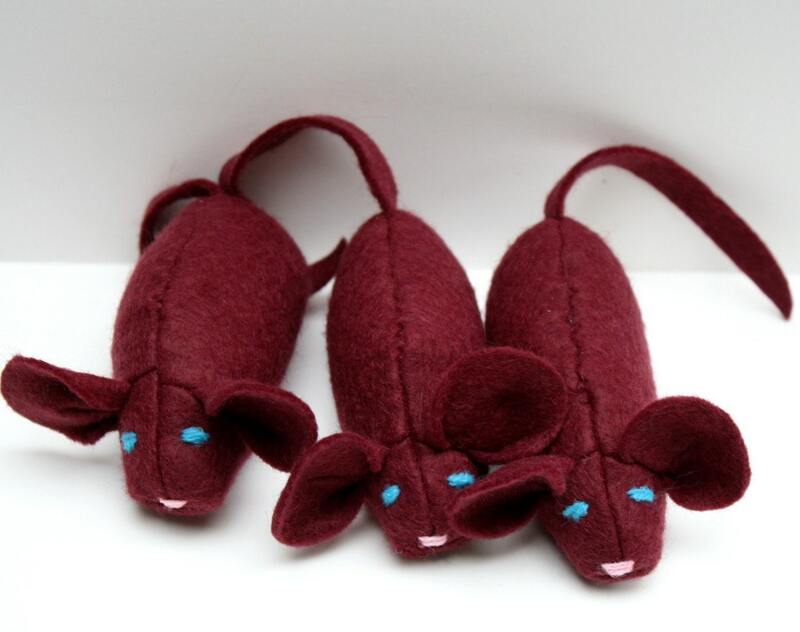 Sherry the catnip mouse cat toy is made from dark red wool/acrylic felt. She is stuffed with a generous helping of super strong, all natural catnip. As well as a bit of 100% recycled polyester fiberfill stuffing. The felt is 20% wool and 80% rayon. Made in the USA. Her eyes and mouth are embroidered on. Yours may not look exactly the same as the one pictured. The thread color used for the embroidered features may slightly vary. Each little mouse ends up with a uniquely adorable face. 4" long, excluding tail. You will get 1 mouse. Top quality material & sewing which my old cat is starting to play with. Ordered the catnip balls two times so I thought I would give these a try....cats loved these too. Thank you!